As a food business grows, a common challenge is increasing production quickly in order to meet demand. Processors often struggle with increasing productivity and throughput due to their existing chilling and freezing technologies capacity limitations. 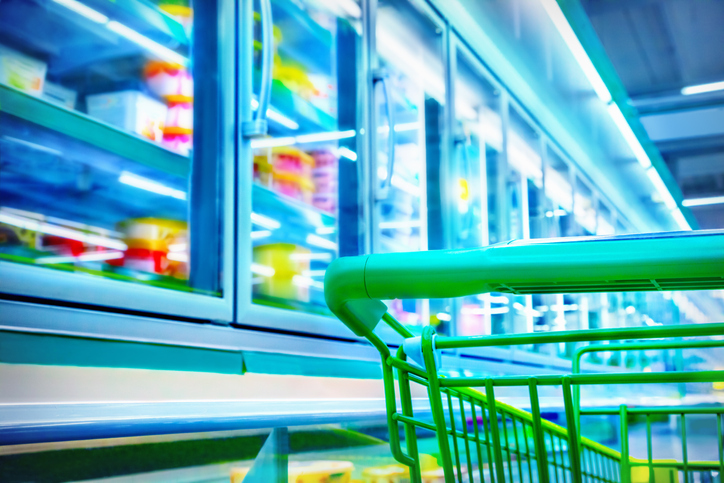 If demand for your products is soaring, but you’re unable to make as much as you’d like due to equipment or floorspace constraints, processors need to decide if it’s time to move from the food freezing equivalent of a prop plane to the turbo-charge of a jet engine. For some processors, switching to a cryogenic impingement freezer may be the best way to bring their business to the next level. Switch to a technology that provides significantly greater capacity within the existing freezing footprint. Impingement is a form of convective heat transfer in which high-velocity air flow is directed to the top and bottom surfaces of the food product. Impingement is available in conventional, or mechanical systems, which use air cooled by refrigerant, and cryogenic technology, which uses liquid nitrogen. Impingement freezing works by pushing air or nitrogen through tiny holes or slots to break down the thermal layer surrounding the food product. As that layer is minimized, more convective heat transfer can be delivered to the product, meaning a processor can achieve a uniform and significantly faster freeze. Impingement freezers can be used to quick freeze nearly all frozen foods, but are ideal for items with large surface to volume ratios. For proteins, these are foods such as chicken and fish filets and meat or vegetable patties or sausages. For bakery and other prepared foods, it might be products such as cookies, pizza or garlic bread. Learn how a growing chicken sausage processor was able to double line capacity to meet demand in the same footprint. On a square foot basis, cryogenic impingement freezing technology – which is available as a tunnel freezer and an individually quick-frozen (IQF) freezer, whose belts move up and down continuously to minimize product clumping and sticking for sliced or diced products – delivers the highest chilling and freezing rates available in the industry. For example, compared to cryogenic freezing tunnels, cryogenic impingement heat transfer is typically three to five times greater. That faster freeze benefits overall productivity as well as product quality. The rapid heat transfer locks in product moisture and creates a quick crust freeze. This helps reduce product dehydration, meaning more product volume – and value – is retained. It also enhances the overall product quality in terms of flavor, taste and appearance, which creates more customer value. For more information on how cryogenic impingement and other cryogenic freezing technology can help you grow your food manufacturing business, click on the link below.